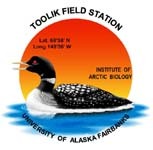 Miller, P. C, P. M Miller, M. Blake-Jacobson, F Stuart Chapin III, K. R Everett, D. W Hilbert, J. Kummerow, L. Stuart, et al.. “Plant-Soil Processes In (Eriophorum Vaginatum) Tussock Tundra In Alaska: A Systems Modeling Approach”. Ecological Monographs 54. Ecological Monographs (1984): 361-405. doi:10.2307/1942593.